Archbishop Henryk Hoser, who was sent to Medjugorje by Pope Francis in March to investigate the spiritual welfare of the community, has said that he expects the Holy See to approve the reported apparitions there. A separate Vatican commission, chaired by Cardinal Camillo Ruini, looked into questions about the authenticity of the Marian apparitions, and delivered its findings in 2014. Although the commission’s report has never been made public, Vatican journalist Andrea Tornielli reported in May of this year that the commission had concluded that the first seven reported apparitions were authentic. According to Tornielli, the commission was more skeptical about claims that the apparitions continue to this day. Pope Francis essentially confirmed that report in an exchange with reporters who accompanied him on his visit to Fatima in May. He was that the commission had made a distinction between the earliest apparitions and more recent claims, and that the commission “has its doubts” about the latter. Archbishop Hoser made a similar point. 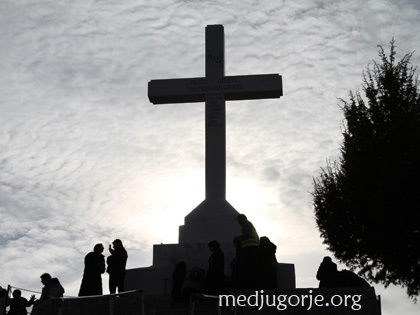 “It is one of the most alive places of prayer and conversion in Europe,” he said of Medjugorje; “and has a healthy spirituality.” He indicated that a final verdict could come from the Vatican before the end of this year. I visited Medjugorje in 1984 and I saw many miracles with my own eyes. I went there carrying a long time heavy cross and prayed on Cross mountain to the Lord to help me. I prayed for Our Lady’s intercession. The day after I get home, I saw my prayers were being answered. I belive in the miracles that happen through Our Lady Queen of Peace in Medjugorje. I believe She appears even to this day. If you believe She appeared the first 7 visits, how can you question the other appearances. How can you presume to know God’s plan as to how long The Blessed Mother should appear to try and save souls. Just listen to Her messages. The power gap between hierarchy and laity divides and enfeebles the Church . The teenagers who first saw the Virgin have developed into young adult Catholics of good standing. There is no reason to doubt their credibility, Additionally, there are a myriad events that testify to the reality of the apparitions, Just one of them is the scent of roses just before an apparition audition begins.There is a High Anglican Church in Yankalilla ,South Australia which is noted for a variety of spiritual events and that same smell suddenly pervades the church. on a small table . It was card from Medjugorje sent to me by Sister Breige McKenna .I was thinking of writing this submission . I don’t think it turned up by accident. and little by way of new insight . Father Laurentin, speaking in Rwanda before the genocides, said Mary has been using a form of teaching in which constant repetition is used to deeply implant a teaching. We cannot tell the Virgin what to say. Public comments by Popes are always of public importance. They may help build the Faith, or help diminish it . Next post: The devotion of Medjugorje is allowed. It’s not prohibited, and need not be done in secret.